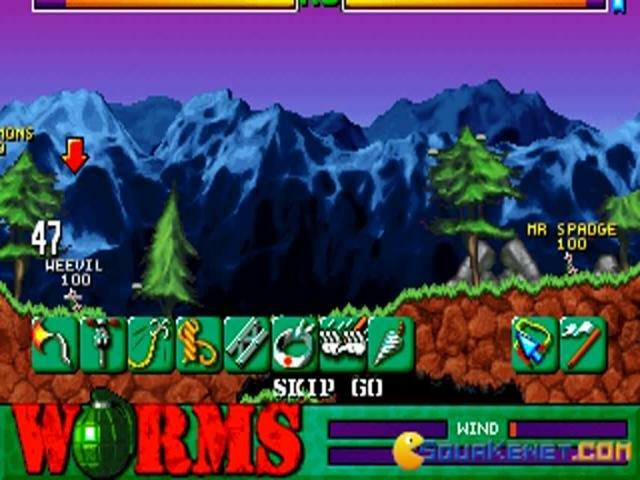 There are 6 shops proposing this game for download at an average price of $ 5.94. We found the best promotion ongoing with a discount of 74%. 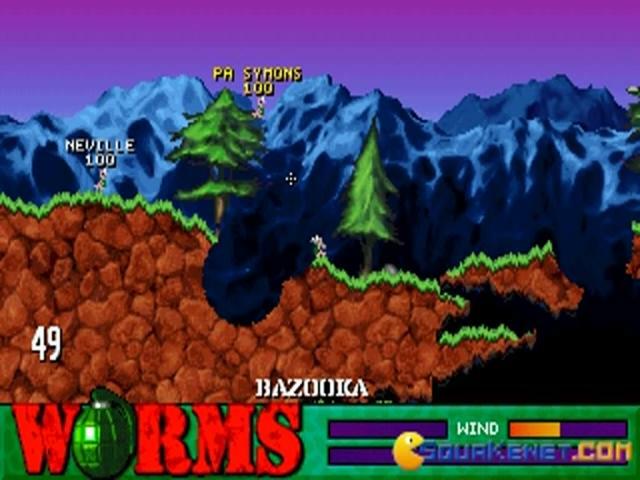 This is the game which introduced gamers to the insane delights of animal-based deathmatches, a sort of combination of Lemmings and Cannon Fodder, and which in many ways has never been bettered. 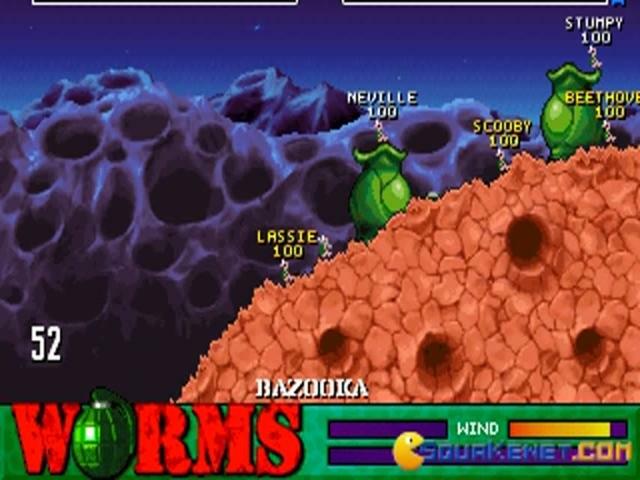 Multi-player action doesn't get much more hilarious than a Worms-style party so if you have never played this before and are looking for a great game to play with your mates, then this needs to be checked out. 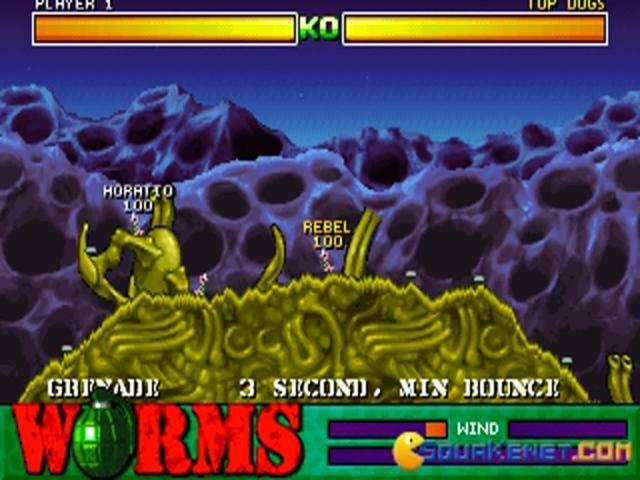 As with the best games, the basic idea is simple and Worms sees players in control of a team of worms duking it out across a variety of fully destructible environments with some seriously over-the-top and high-powered weaponry. 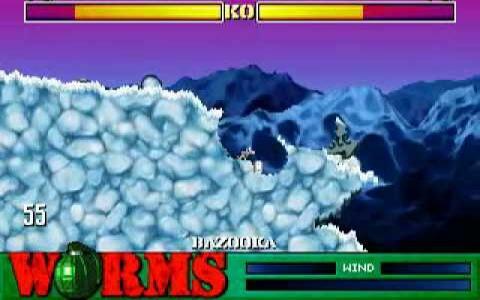 The goal is straightforward enough: terminate the opposing worms with extreme prejudice and lashings of humiliation. 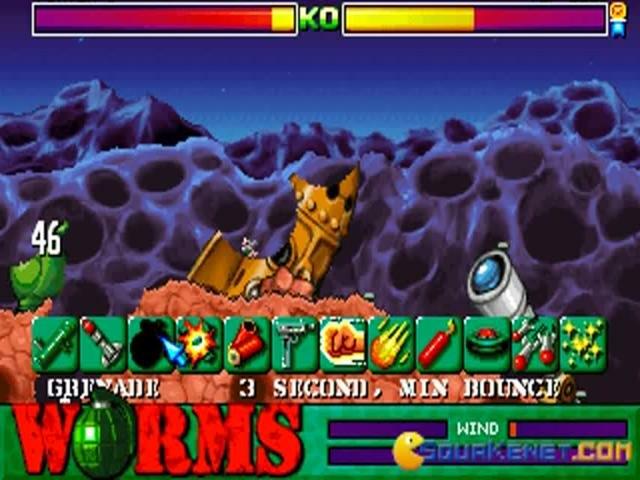 It plays out in turn-based fashion, with players having limited time to move their team around and make use of the copious amounts of available weapons to knock the living daylights out of the opposing team. 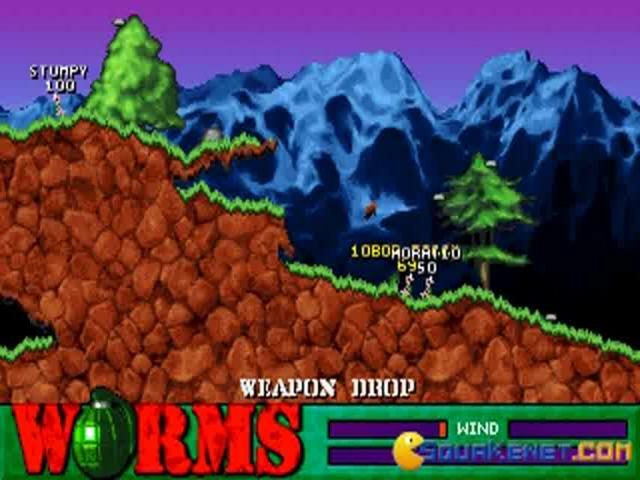 You have to take into account things like gravity and wind with some of the weapons, which really adds to the challenge, but it is the weapons themselves that are the game's real draw. 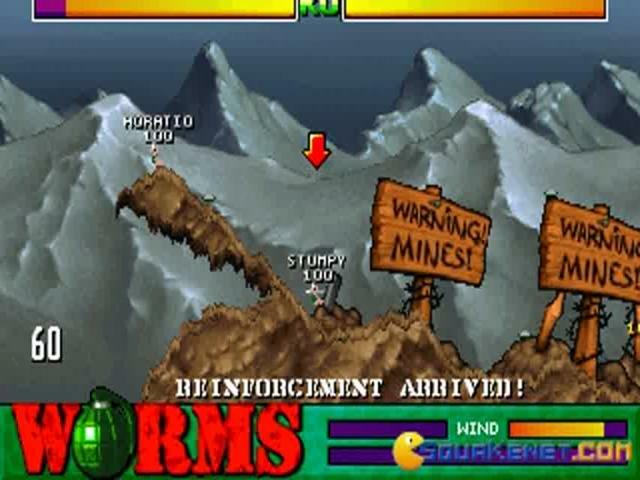 Alongside standards like missiles and guns, you have classics like exploding sheep and the bouncing banana bomb and there really is no end to the hilarity caused by flagrant disregard for their power, as you fling one towards your enemy only to miscalculate the wind and find it hurtling back towards your own worm, who is then blasted several hundred feet into the sky. 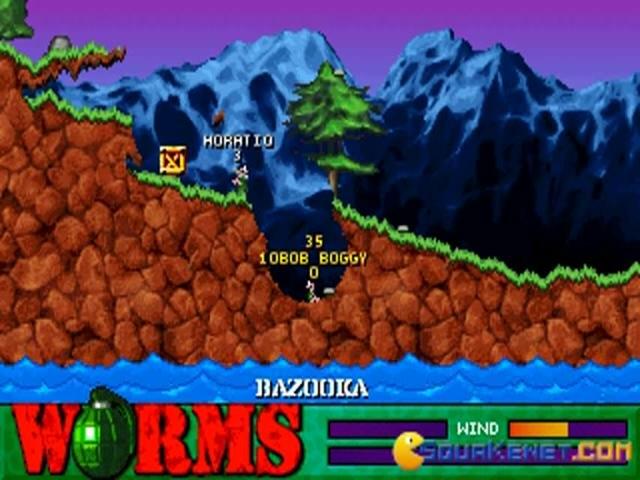 Worms really is a truly original take on the Scorched Earth-genre and which has seen imitators like Hogs of War and Liero. 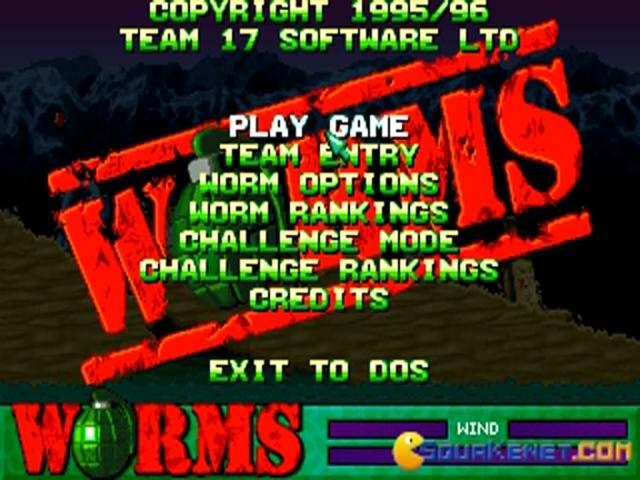 However, the personality and charm of the original has never been bettered and it remains a timeless classic so play this if you want action, humour and strategy all rolled up into one near perfect package. 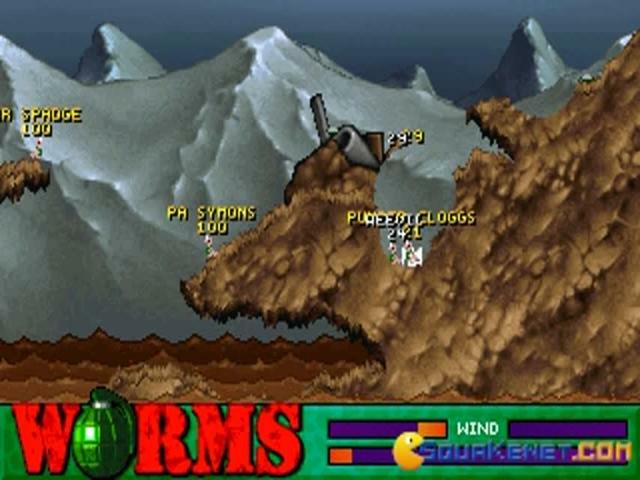 Worms is a 1995 turn-based strategy game where your goal is to kill your enemies on various colorful terrains with different themes. 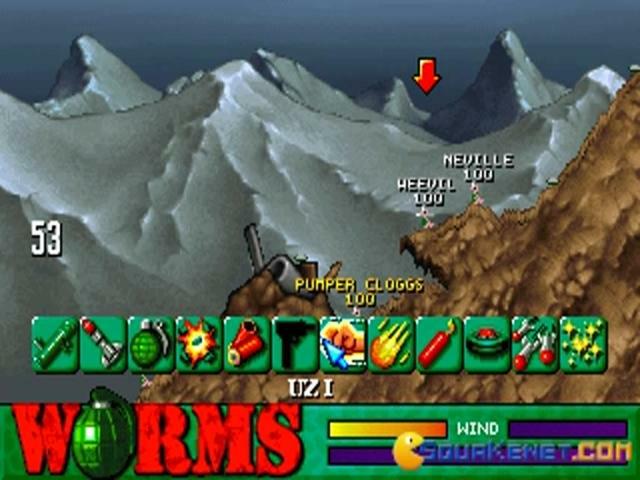 Some examples are: snowy places, hell, beaches, forests, arctic settings, deserts, a jungle, martian and alien worlds, junkyards, candylands! 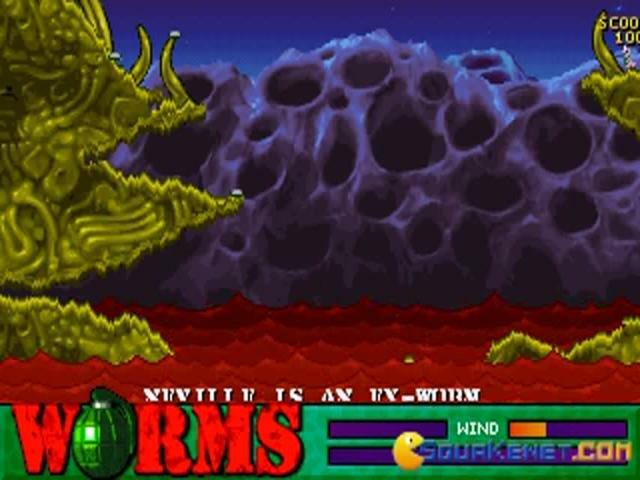 Your will control worms from 4 teams, and they are quite psychotic when it comes to destroying the opponents. 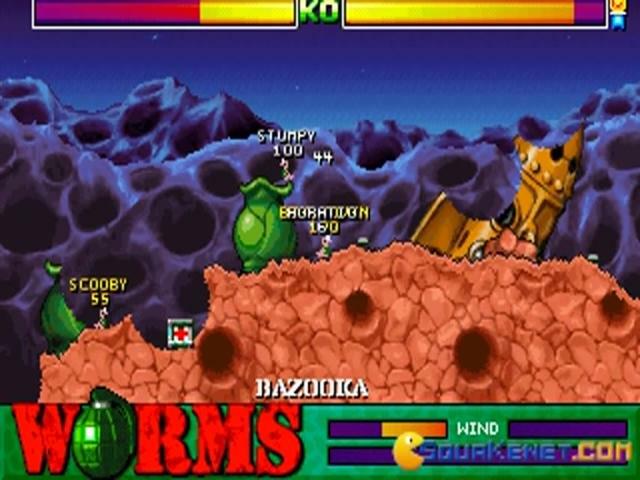 They can blow the hell out of other worms, they are able to bite with powerful teeth and to use some of the most wacky weapons (bazookas, grenades, bombs, missiles). 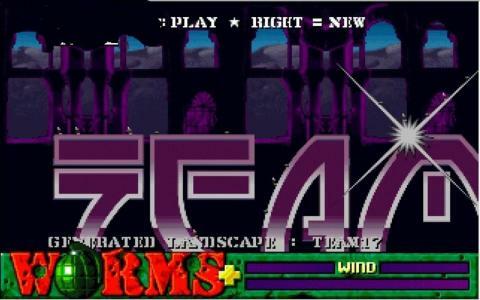 This is a classic game that was a big success at the time it was released, and that is why an expansion pack appeared. 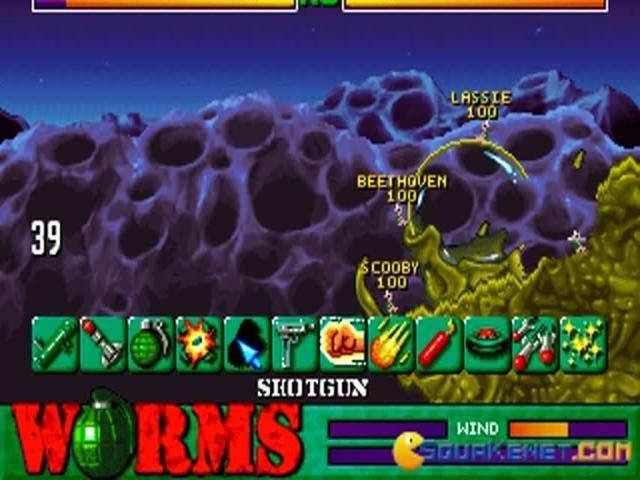 While killing with weapons, you have to take care of your aiming, and to take into consideration a few things before launching your fire: the wind strengh, direction and trajectory. 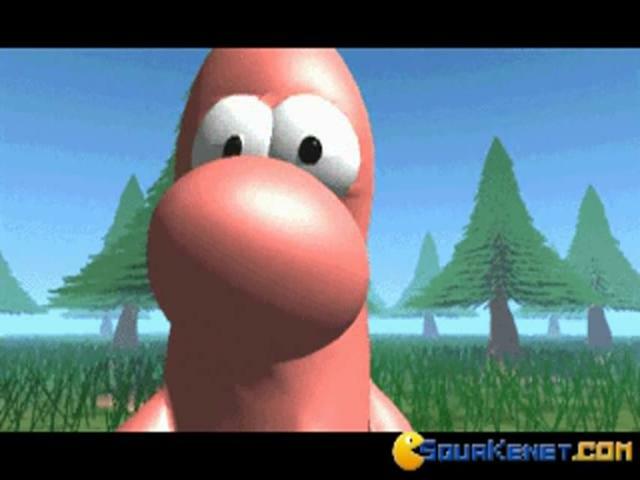 What is not to like about this exciting and cute game? 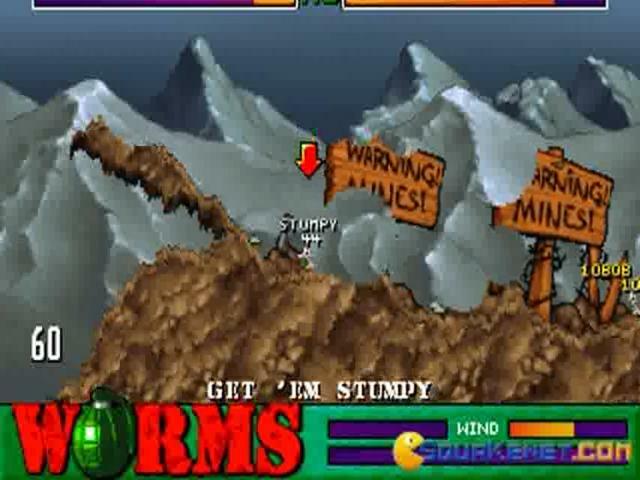 Oh yes, the fact that you will lose if you don't practice enough, but as for the rest, there are a lot of surprises throughout the levels full of diversity. 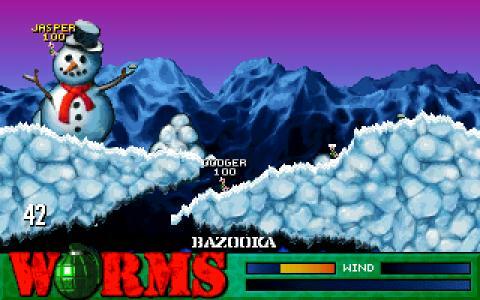 I assure you that you won't get enough of Worms, and you will play it for hours, days, and even after you finish it! 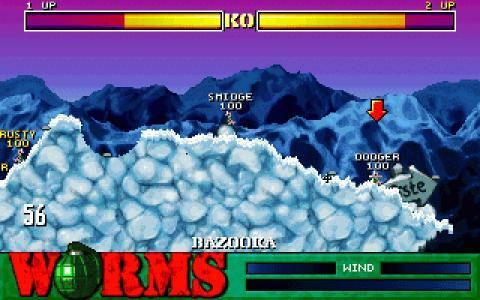 Try the satisfaction of planning attacks and especially, live the excitement when you blow up your enemies!